The attack on a Jerusalem synagogue in which four Jewish worshippers were killed and eight were injured has sparked new fears that fighting between Israel and Palestinian could flare up once more. The attack, by two Palestinians carrying meat cleavers and a gun, has the potential to kick off fresh religious confrontation and a third intifada. The immediate trigger for the attack was the death of a Palestinian bus driver in Jerusalem. The Israeli authorities who carried out the autopsy on the body concluded that the driver hanged himself but a Palestinian pathologist who participated in the autopsy argued that the bus driver was probably murdered. Hours earlier a Palestinian had stabbed an Israeli with a screwdriver near the Damascus Gate. In a conflict littered with seemingly isolated incidents, attacks and counter-attacks, it is sometimes difficult to see the wood for the trees. But taking a long-range view of the conflict since the failure of US secretary of state John Kerry’s mission to the region that ended in April 2014, the inescapable conclusion is that the third intifada is already here. The city of Jerusalem, and the dispute over Temple Mount/Harem al-Sharif in particular, is at the heart of this conflict. 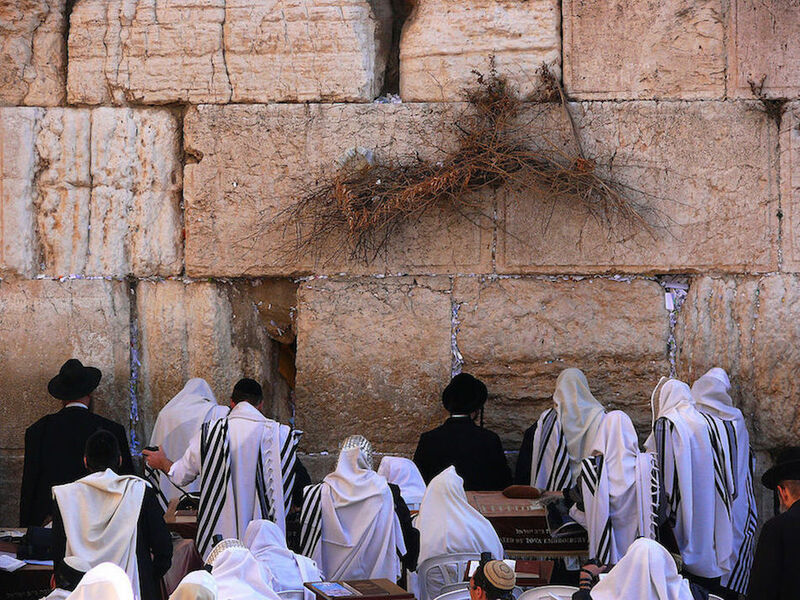 This is the holiest site in Judaism. It is where God is believed to have created Adam, where Abraham offered his son Isaac as a sacrifice to God, and where the two Holy Temples once stood. For Muslims, it is from this spot that the Prophet Muhammad visited Heaven during his nocturnal journey. It is home to the Al-Aqsa Mosque, the third-holiest site in Islam, after Mecca and Medina. Israel annexed East Jerusalem following the June 1967 war and continues to manage security and access to the holy sites of the old city, but the mount is managed by Muslims. On October 29, a Palestinian from East Jerusalem attempted to assassinate a prominent rabbi who advocated free Jewish access to Temple Mount. In response, Israeli authorities temporarily closed off the site to both Jews and Muslims. Israel has since allowed access once more but the violence has not abated. Jerusalem is still very much in the eye of the storm. The attempt on the rabbi’s life was the culmination of months of tension in East Jerusalem. The city is home to around 250,000 Palestinians who hold Israeli ID cards and pay taxes to Israel, but there have been repeated efforts by certain Jewish religious groups to buy Palestinian property in order to create a Jewish majority in the city. The synagogue attack is therefore neither isolated nor random. The murder of Jews in their place of worship by Palestinians is hugely symbolic though. This was not merely an attack on the Jewish state, but an attack on Judaism itself. In the first intifada of 1987, the Palestinians rose up against the Israeli occupation of the West Bank and Gaza for the first time. The 2000 intifada followed a failed peace process. But this intifada is not being fought over territory or negotiating positions. It is a religious conflict that is bubbling up as a result of contrasting claims to sovereignty over the Holy City of Jerusalem. The language used by both sides to describe the current tensions points to these religious undertones. The Palestine Liberation Organisation (PLO) has asked the international media to refrain from using the Jewish name of Temple Mount when reporting the story. It says the Al-Aqsa Mosque compound is not a disputed territory and so any other name for it is null and void. The Israeli government, on the other hand, has characterised the synagogue murders as the latest in a series of acts of Palestinian terrorism designed to damage Israel’s sovereignty over Jerusalem and to kill Jews just because of their religion. The Israeli government has responded to the attack by ordering the immediate demolition of the perpetrators’ houses and the bolstering of security in the city. This decision was as swift as it was predictable, and is unlikely to calm the situation. But Israel’s options are limited – the Palestinians of East Jerusalem are not subjected to the same restrictions of movement and employment as the people living in the West Bank and there seems to be no central authority behind these spontaneous attacks. Israel has accused the Palestinian Authority of inciting this wave of religious violence against Jews in Jerusalem but the organisation does not have the civil authority in the city to bring the situation under its control. Tensions will without doubt escalate in the coming days and weeks. It is clearer than ever that Israelis and Palestinians will not resume the stalled peace process for the foreseeable future. To think so would be naïve at best. This intractable conflict has long been defined by issues such as the future of the Israeli settlements in the West Bank and the fate of Palestinian refugees. Now the added burden of more religious tensions is certain to condemn the people of the Holy Land to many more years of bloodshed. Asaf Siniver does not work for, consult to, own shares in or receive funding from any company or organisation that would benefit from this article, and has no relevant affiliations. In the new Human Security Report, The Decline in Global Violence: Evidence Explanation and Contestation, global security specialist Andrew Mack examines a critical question: Has the long-term threat of violence — war, terrorism, and homicide — been decreasing or increasing worldwide? For some, the answer seems clear. Many in the strategic community concur with General Martin Dempsey, Chairman of the United States Joint Chiefs of Staff, who has said today’s world is “more dangerous than it has ever been.” But Mack writes that there is little evidence to support them.